This review nearly didn't happen because yesterday the internet played up so I couldn't finish writing it, and today we had a power cut! I was about to use my family's mobile phone to email the publicist to explain the situation when the power went back on. Phew! I'm typing this as fast as I can (which is thankfully quick) since I've no idea if it will go back out again. The short review is that this book is AWESOME!! 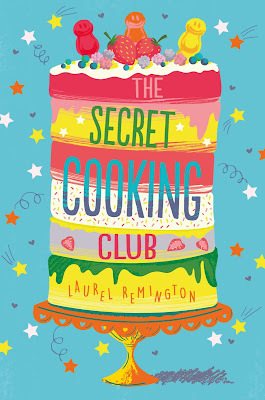 It was a pleasure to be part of this blog tour because not only did I get to read an amazing book, I took part in a super fun baking challenge that everyone including Laurel the author and Laura one of the publicists took part in! More on that after this review. I instantly loved Scarlett's voice. Her mother is cruel, which made me feel sorry for Scarlett. No parent should do what her mother did. Making fun of every part of Scarlett's life online is bullying. I'm not surprised Scarlett was so desperate to do nothing in the way of extra activities at school, it was the only way to escape public humiliation. In a way her life was like the life of some celebrities-she had no choice in what her mum posted about, and not all of it was pleasant. I felt sorry for her lack of friends, so was delighted when Violet appeared on the scene. Their friendship has an extremely rocky patch, but I promise they are friends again by the end. While I wouldn't have had Scarlett's guts to investigate the odd noise from her neighbour's house, or dared to cook there without permission, what Scarlett did was so very cool, and ended up changing several people's lives as well as her own. 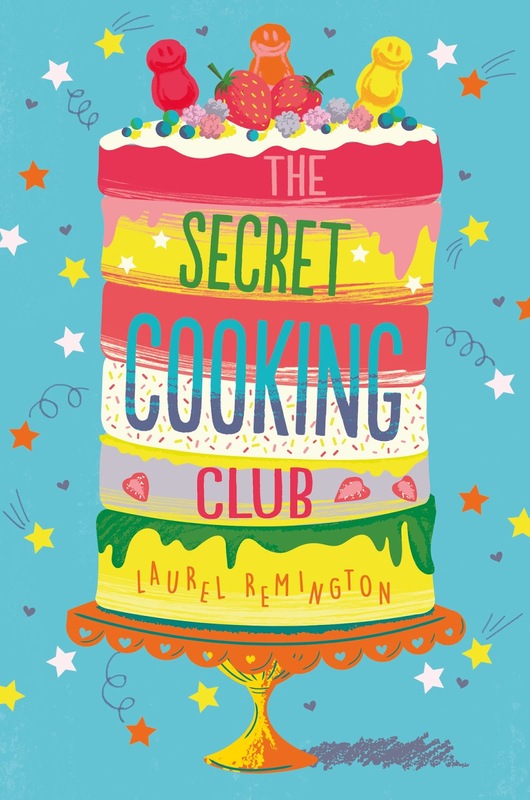 I really liked that although it started as a baking club, it turned into cooking - often books stick with just baking, so hopefully this will encourage readers to get excited about savoury food as well as yummy sweet food. Baking/cooking was therapy for Scarlett, and ended up being the key to helping her mother change her career. There are plenty of plot twists which surprised me, the biggest one involved Scarlett's mother and I was shocked by what she did in a good way. It makes me smile just thinking about the moment Scarlett makes that discovery! The book covers bullying, illness, friendship, family, and possibly some other themes I can't recall. It's frustrating that I can't say much about the end, but it made me so upset I couldn't write the review the same day that I finished the book as it reminded me of my own losses. I say that in a positive way (even though it's not the most positive of subjects). 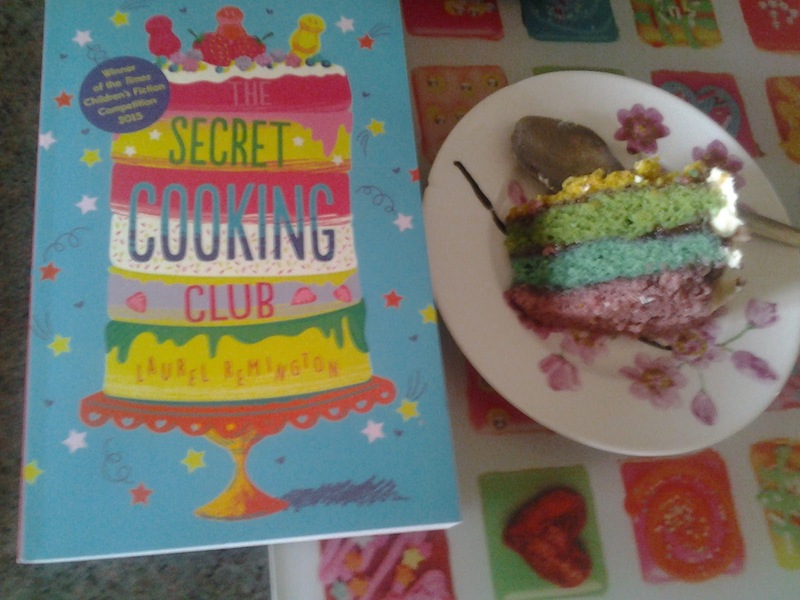 I really hope there will be a sequel as I'm sure that the secret cooking club will continue to have adventures! 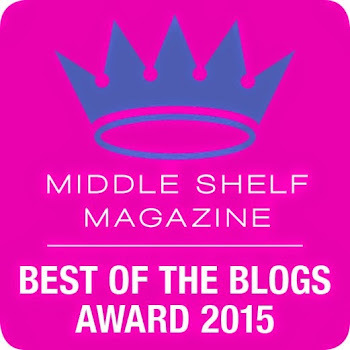 Be sure to have some cake when you read this! Special Blog Tour Baking Event! 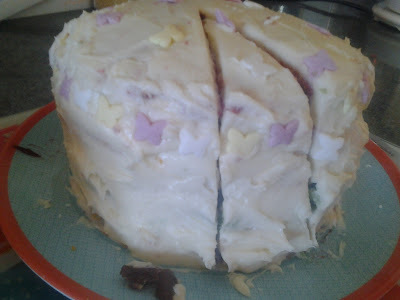 For some reason only known to me I used smaller cake tins than the recipe states, so the cake was set to be super high - I simply cut each cake in half so made 2 cakes instead of 1. 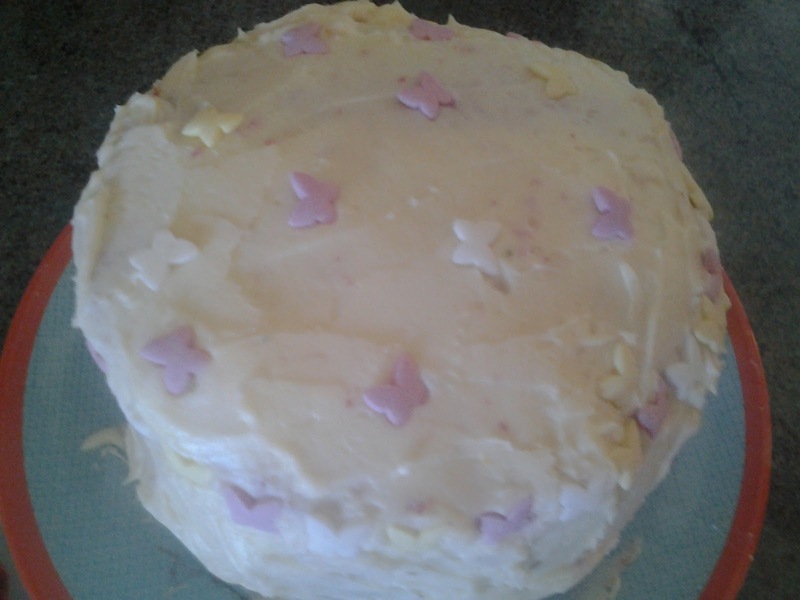 I didn't use the suggested frosting in the recipe as I'd already made & frozen buttercream, + I used jam instead of frosting to cement all the layers (minus the top layer on one of the cakes, which was buttercream since I used up the entire jar of jam and had no more). From all I've said so far can you guess what these two cakes might turn into? Tada! 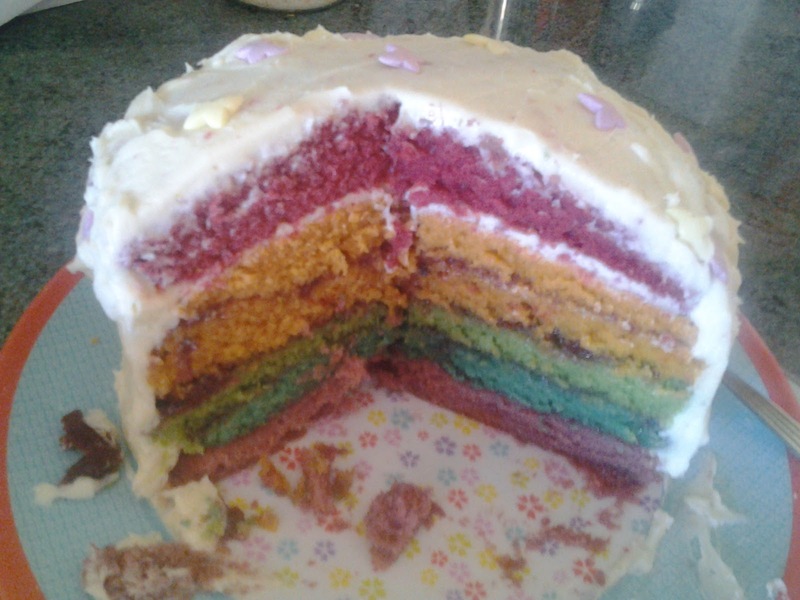 Here's my 6 colour rainbow cake! 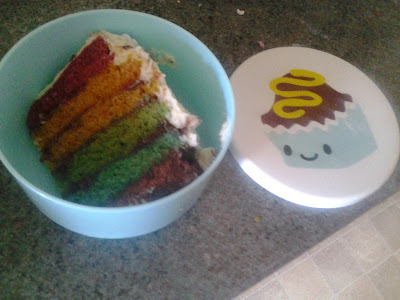 The colours were super weak looking in the cake mix, and even baked they didn't look great. However, they seemed to brighten over time - I haven't edited these photos at all. So while not the stunningly bright colours like those who use the correct food colouring, I'm still pleased with the outcome. 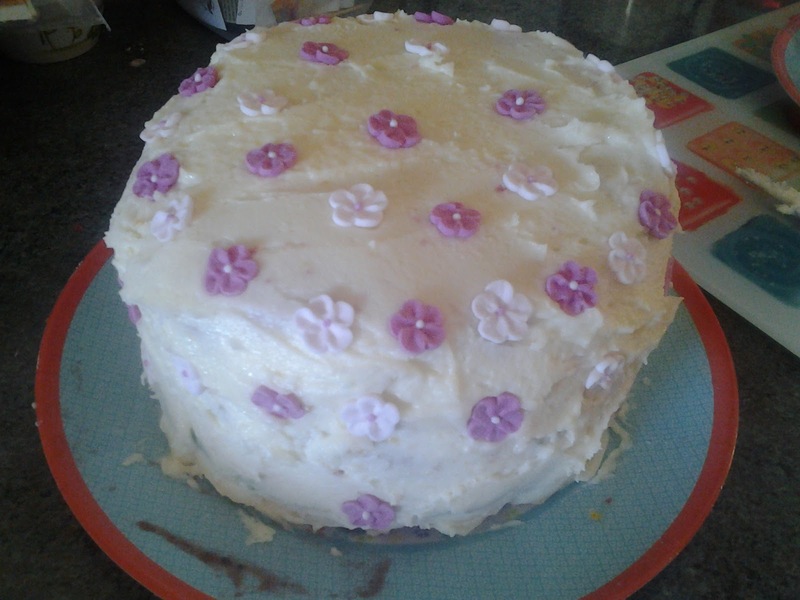 It makes a super yummy cake! It makes a lot so I have distributed some to friends. 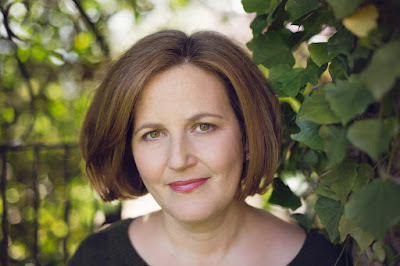 It was an unusual and fun challenge to accompany a book review. I'll let you know when I make the 2nd version of the cake - please do let me know if you make it too!